Making sure that you have a quality New England pest control program in place for your Sutton, Massachusetts home is important to ensure that the structure of your home remains intact, your personal belongings remain safe, and that you and your family stay healthy. 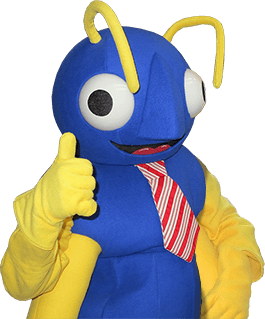 The professionals at Big Blue Bug Solutions understand this and have been working to protect homes and properties from pest damages in Massachusetts, Rhode Island and Connecticut for over 80 years. All of our technicians are continuously trained on the latest pest control technologies and techniques and will work quickly and efficiently to keep you, your family and your home protected. How Can Pests Can Damage My Home? Pests are not simply an annoyance, they can enter your home in large numbers, cause a lot of costly damage, and even introduce bacteria and viruses that can make you and your family ill. Common household pests that often enter Sutton homes and cause some serious problems include termites, rodents, and carpenter ants. Rodents like mice will chew through insulation, wires, and pipes which can lead to fires and water damage; they can damage your personal property and contaminate food sources with their urine and feces. Carpenter ants will bore holes into moist or decaying wood in order to create nesting areas; this can reduce the structural integrity of the wood structures in your home. Termites will also cause severe damage to your home as they actually consume wood. Termites often go unnoticed for months and this just causes an increase in the amount of damage that they inflict on your home. No matter what type of pest is in your home the safest most reliable way to eliminate and control them is with the help of a Sutton exterminator. Keep in mind that even despite our best efforts to pest proof the home, sometimes they just find their way in. If you are noticing that pests are getting inside, contact us now to prevent a full blown infestation! If you are in need of Massachusetts pest control services contact the professionals at Big Blue Bug Solutions today. Our professionals can give you detailed information about any of our pest control programs or give your more information about pests that may be invading your home!